Night Rocker USDJPY EA is a night scalper that has a system for evaluating market volatility and trades during a period when prices are flat. In addition, there is a built-in filter of spread and slippage. The Expert Advisor works on USDJPY. Period M15. Also there are separate versions of the adviser for other currency pairs! Look in the market! 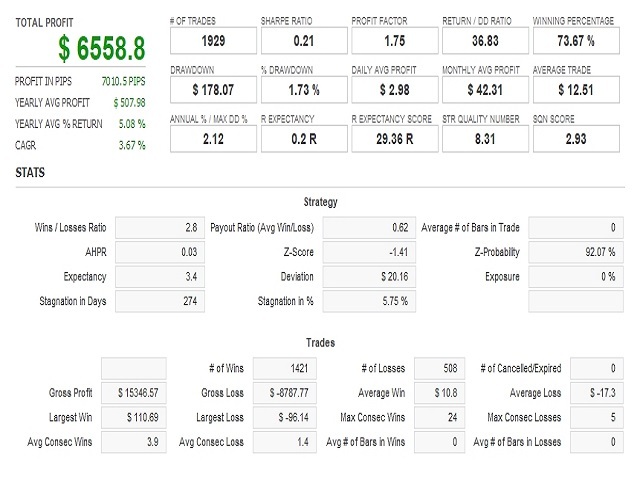 And the full version of the adviser working with all currency pairs.